Dreaming Of Taking Your Family On An Extended Holiday? If Not Now Then When? Home Travel Dreaming Of Taking Your Family On An Extended Holiday? If Not Now Then When? It’s all too easy to get stuck in a rut. Even if you’re one of those lucky few who has a job and career that they find fun, interesting and rewarding, the repetition, the (let’s call it what it is) monotony of life’s rhythms can rob us of our zest for life. Wake up, breakfast, go to work, come home, TV, bed, weekend’s coming up, crikey that was fast! Repeat. While there’s comfort in the familiar, to be sure, familiarity can also become an anaesthetic that dulls our quality of life. Is it any wonder why so many of us pine for a change of scenery and yearn for the opportunity to take ourselves and our families somewhere far away? Somewhere where we can put some physical and psychological distance between our quotidian responsibilities and stressors? 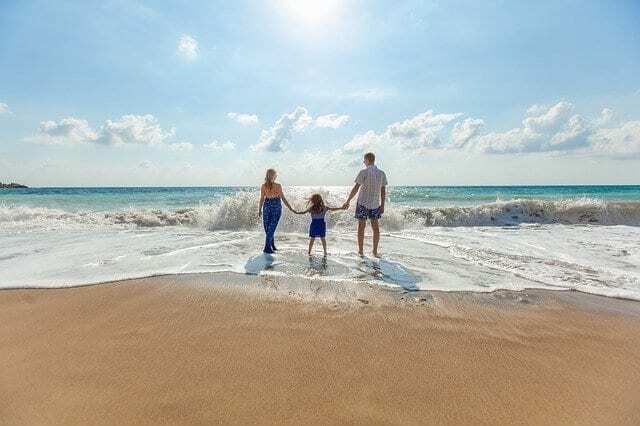 Many a family fantasises about the prospect of taking themselves away on an extended holiday; marking off destinations on their bucket lists and immersing themselves in another culture. Yet, few take the steps to make that dream a reality? If this is truly your dream, now’s the time to pursue it. Because (in the words of Tracy Chapman) if not now… then when? Travelling overseas is rarely cheap (although there are a lot of ways in which you can save money on international travel). Still, money needn’t necessarily be an obstacle to living your dream. You will have ample opportunities to work while you’re away and remortgaging your home can free up some capital to pay for your initial flights and accommodation until you find your feet without needing to resort to a commercial loan. Travel can be a great education for children in and of itself, and there’s no legal reason why you can’t school your children in line with your school’s syllabus. While we don’t recommend taking kids out of the country while they’re studying for their GCSEs or A Levels, travel can lend a huge boost to kids’ cognitive function and intellectual curiosity. Will my home be okay? Sure. Many people who travel overseas for extended periods of time turn to letting agents to manage the logistics of leasing their home to tenants and ensuring that they live up to their side of the tenancy agreement. Click here to learn more about how to rent your home whilst you travel. A good letting agent will be able to advise you on everything from the drafting of the tenancy agreement to how much rent you should charge. This, we cannot answer for you. It depends upon your employer, the nature of your job and how long you have been working for them. Nonetheless, you’d be surprised at how many employers are amenable to the notion of employees taking a relatively short sabbatical. From their point of view, it’s easier to get your position covered on a temporary basis than it would be to replace you completely. This article by Forbes has some great tips for broaching the subject with your boss. While the prospect may be scary and logistically fraught, there’s no better way to live your dreams.